Yeah, FMS band Cold Snap are on their longest Euro tour ever, currently with Extomorf and other bands, but this tour is pure succes for them. Clubs are full and Crowd likes their music and stage performance. Merchandise sale is unexpected great and we are very proud about them. 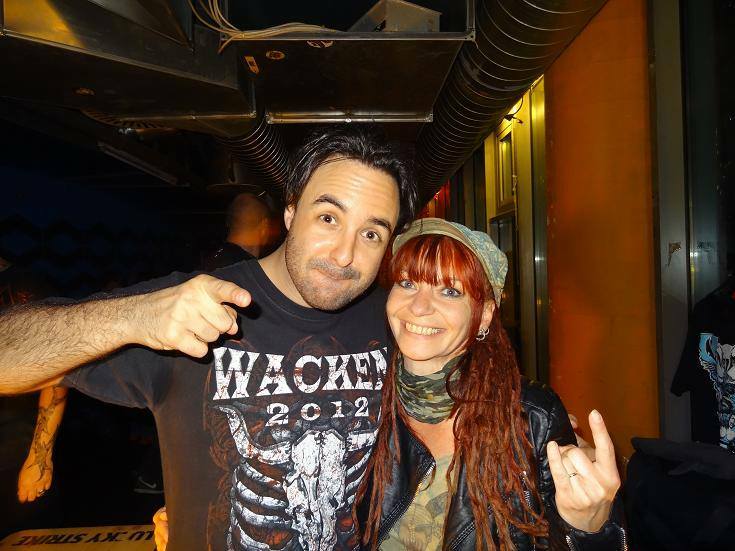 Rock Hard and Metal Detector journalist Tina King met them at Unversum club in Stuttgart and took picture with Cold Snap frontman Jan. Sold out club, 250 crazy fans and night for remember. Ektomorf, Cold Snap, Vengince and Killing Age.